In 1977 a small group of area residents, all with an interest in writing, founded the Palm Springs Writers Guild to promote the art of writing among both aspiring and professional writers. As the desert communities continued to grow and become a mecca for creative people from all over the United States and Canada, so did the Writers Guild. Incorporated as a non-profit organization in 2004, with a 501(c)(3) status, today the Guild boasts a membership of over 200 writers at every stage of the craft. And no matter where a member is on his or her writing journey, the Guild provides the KEY services he or she needs to turn writing dreams into reality. Each month the Guild holds a meeting that features experienced and informative speakers with topics designed to help members achieve their writing goals. Members can also network with other members and guests and browse author exhibits. The Guild sponsors a series of interactive Writing Workshops during the program season featuring qualified professionals in the field. Topics cover everything from polishing writing skills, to finding an agent or a publisher. Critique groups are made up of five or six member-writers who meet weekly to help each other attain their individual goals. Members bring material to read and to be commented on by other members. The group gives feedback on story, style, technique – whatever the writer needs to move a project forward. Every writer needs a mentor at some point in the writing process, and this year the Guild is adding mentoring groups to its list of stellar benefits. Like critique groups, mentoring groups will be composed of other member-writers, two or three dedicated people, who will meet with the writer on a regular basis. Seasoned members of the Guild, including those who have successfully published a fiction or non-fiction book, will review a manuscript up to thirty pages of a member’s work-in-progress and provide feedback on flow, character development, point of view, description, whatever the writer needs to bring his or her work to a successful conclusion. The PSWG monthly Fiction Contest offers members a chance to write in a genre outside their comfort zone and compete with other members for a monetary prize. The annual Short Story Contest is open to all members and carries a prize of $500 for the first place winner. 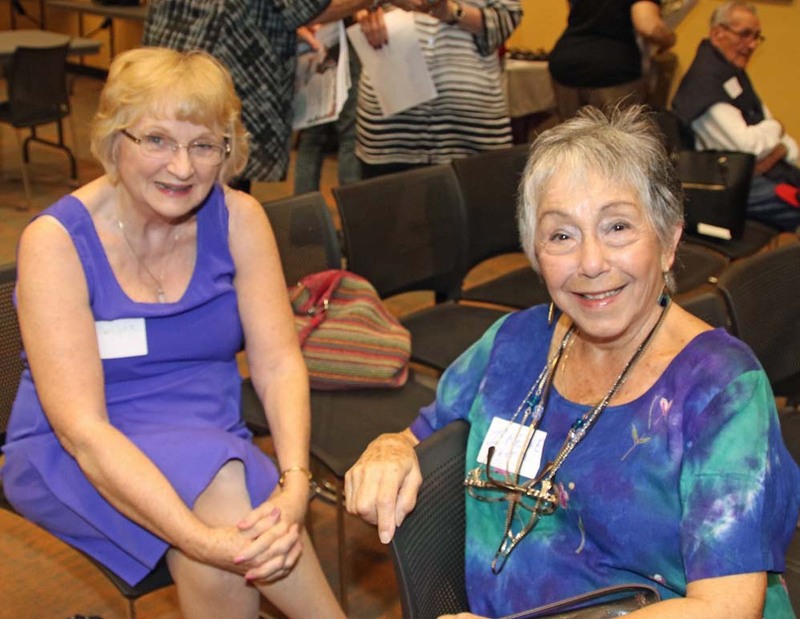 This popular annual event is staged in conjunction with the Rancho Mirage Public Library and offers published writers a very visible opportunity to showcase and sell their work. The Expo is also a chance for writers and guests to network, share trade secrets, and keep abreast of all the fine work that is being created right here in the Coachella Valley. Members looking for an editor, a book designer or a book marketing expert can check out the Guild’s Professional Services listings on our website. And if you have a service to offer, you can also list it here. Members can visit our informative & interactive website any time to read the current President’s Letter, see a listing of upcoming member services, and enjoy a photo gallery of recent events. Members can also list themselves with contact info, website, blogs, a book or personal photo in the private Member Directory (member login required). The Member Book page is also available, and can be linked to the author's purchase site. Join us today and put the power of the Palm Springs Writers Guild to work on your writing journey. Annual Membership is just $75 per year. Fill out an online membership application here.